Members of radical anti-Zionist haredi faction meet with family of Arab teen jailed for stone-throwing, slapping IDF soldiers. Members of the radical anti-Zionist Neturei Karta movement showed their support for three members of the Tamimi family who were arrested last month for kicking and slapping IDF soldiers and several stone-throwing incidents, visiting relatives of the jailed women in the town of Nabi Salih, near Ramallah. According to a report by Kikar Hashabbat Tuesday, members of the radical haredi faction visited the Tamimi home recently to show solidarity with the family. The delegation waved Palestine Liberation Organization flags and called on the Israel government to free the three members of the Tamimi family held on assault charges. Among the activists who joined the delegation were relatives of Moshe Hirsch, the late leader of the Neturei Karta’s most virulently anti-Israel wing and an adviser to PLO terrorist Yasser Arafat. 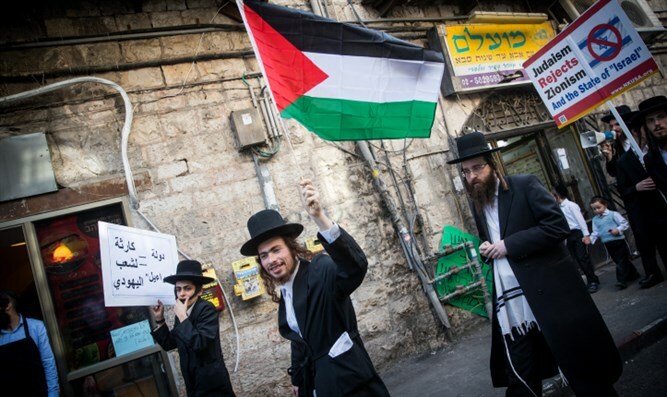 Founded in the 1930s by haredi opponents of the secular Zionist movement, Neturei Karta earned a reputation as the most extreme anti-Zionist faction in the haredi community, drawing condemnation from senior haredi figures for the movement’s ties with the Iranian regime and the PLO. On December 15th, 16-year-old Ahed Tamimi, her 21-year-old cousin Nour Tamimi, and Ahed’s mother, Namiran, confronted two IDF soldiers stationed in the town to keep the peace, following the outbreak of riots in the area. During the encounter, which was filmed, all three of the Tamimis attempted to provoke the soldiers, shoving, slapping, and kicking them while shouting at them. Neither of the soldiers responded to the provocations, and none of the three Tamimis was arrested at the time. The video recording of the incident went viral, sparking a backlash from Israeli nationalists who demanded the three be punished for their assault. On December 19th, the IDF arrested 16-year-old Ahed Tamimi during a raid of her family’s house in Nabi Salih. Israeli authorities later arrested Nour Tamimi, 21, and Nariman Tamimi. Ahed and Nariman were charged with aggravated assault and interfering with an IDF operation. 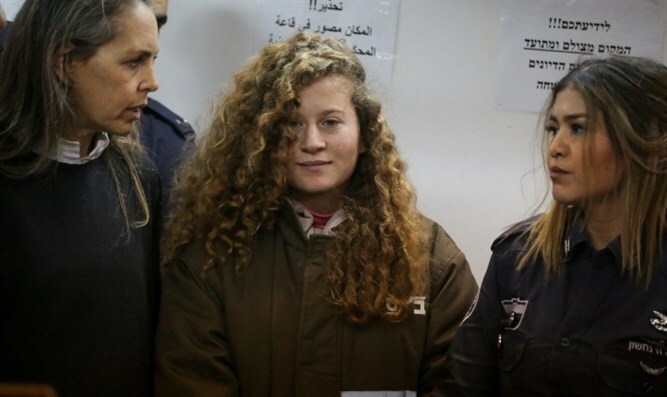 Ahed was also charged with throwing stones at Israeli security forces.